Prior to fixing the error go and get the original Cashbook that was printed on the day that is showing the error. Select the Banking icon, from within the Banking Register, highlight the line that has the error or red-cross on it. Make sure you don’t click on it – just highlight it. Now click on the “Print Cashbook History” icon. You can compare the two Cashbook reports and see where the difference is. 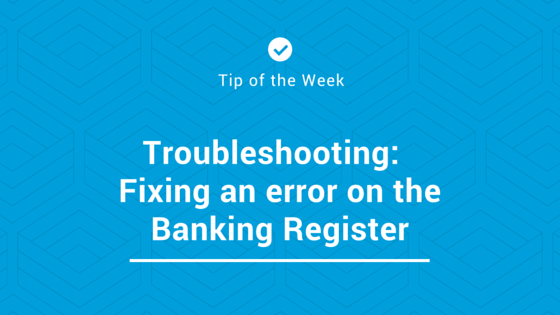 Once you have found what the difference is, and it is actually correct, once again highlight that days’ banking and click on the Change button on the right hand side of Banking Register. While looking at the new Cashbook figures change either the banked or transferred amount to what the Cashbook now says and click on OK.